This is an anonymous round, do not post unless you are anon playing. Prep Phase begins at 06:00 AM GMT on Monday, 7th January 2019. Click the link to see how that applies to you. During the 2 hrs stand-by NO ACTIONS WILL BE ACCEPTED. Only wills can be updated. This is to promote healthy sleeping behaviors, and so that all players (and GM) will experience a minimal impact on the other aspects of your life (except for how Mafia makes us paranoid and sleepless; even I can't fix that). Phase change will be at 06:00 GMT every OTHER day unless something comes up (I'll try to let you know in advance). Actions are due two hours before phase change (04:00 GMT). Anything submitted after that time will not be counted. - Make sure you're available to/plan to actually play the game! Do not join if you do not intend to play the game. If you sign up to play, you are expected to send in actions, vote, etc. - Role-handoffs (for Mods/Friends/DBs/Lovers only)! If you intend to let another player handle your actions, you must inform the GM. You can let the GM know if it's for only that phase or blanket permission for the duration of the game (which can be revoked any time you choose). Remember guys, everyone affects everyone else in this game! Last edited by FM GameMaster on February 1st, 2019, 1:27 am, edited 12 times in total. Players are typically split into two: Moderators vs Members (Police, FBI and Civilians). In general, the ratio of Mod to Members will be between 1/3 to 1/4 (that means between a third to a quarter of players would be Mod). It is at the liberty of the GM to balance the roles as they see fit, however, so this ratio is intended to be a guideline only. Players are given their roles and therefore their alignment during the beg inning of Prep Phase or Night 1. Each role has its own set of actions that can be performed during phases. It is highly recommended that players check what actions are available to them when they receive their role from the GM. To use an ability or vote, you must PM the order directly to the GM (and co-GM, if applicable). Those submitted in the main thread or elsewhere do not count unless agreed to by the GM. You may provide the GM with a will to be presented at the time of your Banned (unless you are erased). A typical will usually summarizes a player's actions and intel they have gathered to that point, resulting in something along the lines of: "Will: I interrogated Gin and got Moderators on Night 1. I interrogated WATER on Night 2 and got Not Moderators." Your will, unless erased, will be provided by the GM after your Banned is announced (whether it be by lynching, APTX, or just a routine Banning). The GM has a right to censor or remove any will if they feel it reveals too much or it is game-breaking. You may always send in a new order/will to replace your old one, assuming the phase has not yet ended. If multiple incompatible actions are submitted by a player, the last valid action prior to the countdown ending will be the one played. If no compatible actions are submitted, none will be entered. Game always begins in Prep Phase and progresses to Night 1, Day 1, Night 2 and so on. Each phase is usually 24 hours long although it is ultimately at the discretion of the GM. Every night phase, The Moderators and/or Hacker may send a Ban for one player. The Moderators is expected and encouraged to consult with one another on who to Ban during the night and possible lynch votes during the day. A private channel for the Moderators to discuss strategies is provided in every round by the GM. Every member of the Moderators must Ban successfully before a member is allowed a second Ban. The exceptions to this is if a member is unable to Ban due to being arrested or lynched, in which case they are no longer factored in to the Ban cycle. Once the cycle has been completed once, a new order may be decided. Every member of the Moderators may use an APTX assuming there are enough remaining. Unlike with the nightly Bans, there is no restriction on how many may participate. Each member is limited to using just one APTX per day phase, however. The Moderators may Ban or APTX a fellow member if they so wish. Everyone is allowed to vote during day phases, whether they be from the Members or the Moderators. You may only not vote if you are dead, arrested, or were hindered by an ability (such as Frighten). The player who has the most votes is lynched. Each player's vote is made public at the end of each day phase unless Voice of Reason or Protect/Lovey Dovey was successfully used. If a player was poisoned by APTX or arrested, their vote for that phase will not count or be shown. Players may abstain from voting. If a lynch fails due to the one with the most votes being Accompanied, Arrested or APTXed, or Sabotage causing a tie, votes will still be shown as usual, but there will be a note that the lynch failed. If, after Accompany and Sabotage have been taken into account, two players receive the same number of lynch votes in a phase, and one is APTXed or arrested, the other will not be lynched. If a single person with the most lynch votes is either arrested or APTXed in the same phase, there will be no lynch. Players are now required to send a Private Message to the GM to let them know if they are voting or abstaining. Failure to do so, the GM WILL RANDOMLY CHOOSE FOR YOU. If a crime is hindered by discombobulation or another ability, it is treated as having failed and thus didn't happen. List of abilities that constitute crimes: Ban (whether it be of the normal, sniping, or APTX variety), Disguise, Slander, Bribe, Discombobulate, Abduct, Erase, Sabotage, Frighten, Steal, Drug via Sleeping Pill. CHOOSING COSTUMES IS NOT A CRIME. Using the Black Suitcase for any fake action is not a crime, including using it to fake a crime. Considering that action never actually took place, it will not count as a crime. If you however use it to bribe, slander or frame that is considered a crime. If someone is Banned, lynched, or arrested, their action for that phase will not go through and will fail. The only exceptions to this are arrests and poisonings with APTX. Arrests can stop APTX. Lynchings, on the other hand, do not. If MangaLuv was successfully poisoned and accompanied someone that was about to be lynched over the 1 vote difference, the reduction of that 1 vote fails (aka, the accompany fails) and the target of accompany will be lynched instead. If a house search uncovers a crime of any sort, the target is automatically arrested. If a face pinch is performed on a player and that player is in disguise (whether they are Members or Moderators), the target is automatically arrested. Note: Jd- is not technically in disguise, and thus is unaffected by House Search (unless they have other crimes) or Pinch. Auto-arresting is a feature of these abilities and does not otherwise apply to other actions. For example, a crime uncovered via an investigation action does not yield an auto-arrest (even if it is being carried out by a police officer). Injured: Player is unable to use any abilities and also loses any of their passive abilities (including any actions of disguises they may have been wearing, though they do not lose the disguise itself). The exceptions are the nightly Banning for Moderators members (they may still carry out a Ban at night), handing out of the suitcase during the day, and Lovey Dovey. Injured players may still participate freely in the game, including casting lynch votes and using items given to them by other players. Any actions (apart from arrest, APTX, suitcase actions, Bowtie/Watch and voting) used during the phase the player gets injured will fail. Suspended: Police that attempt to arrest someone and are unsuccessful will be suspended for two phases following the arrest attempt. While suspended, the police officer in question will lose all abilities apart from voting, Bowtie/Watch, suitcase actions (for Mod disguised as police) and Lovey Dovey. Any actions the police uses (apart from arrest, Bowtie/Watch, suitcase actions, Lovey Dovey and voting) on the phase where they become suspended will fail. Arrested: Player may not use any abilities, though they are also impervious to being poisoned or Banned (unless Bribe is in effect). Any and all actions on arrested players will fail with the exception of Lawsuit to free them. They may speak and participate freely in the game, but they will remain unable to vote. Arrested players are considered "out" of the game when determining which side has won. The role of the arrested player will not be revealed at the time of arrest. Dead: Player is Banned during the course of the game. They may no longer participate in the game, but they will still win with their team should they come out the victors. Dead players may not share any information with living players after they have died, whether it be information they acquired prior to their Banned or after. The Moderators has a leader (assuming he is in the game), referred to as Jd-. If Jd- is not present in the game, the next person in the Moderators list is the leader. The leader may designate the night Ban target and give the order as such. The leader may NOT order another Mod member to Ban themselves. If a member of the Mod sends a Ban, the leader can only override it with the Banning Mod's permission. The leader may not command a subordinate to use an APTX. They are limited to sending in only their own APTX order. If multiple Mod send a Ban in the same night, the Ban will be selected based on rank order and whether the member is eligible to send a Ban. Moderators wins if the Mod outnumbers the Members and there is no foreseeable way for the Members to regain control of a day vote. Mod/Members lovers win when everyone else is dead or arrested. Whether the game ends is determined at the end of the phase, so if a player is due to be released during that phase they will be factored into the decision. Eg. HADAA is supposed to be released from Detention the same phase where Cider is arrested, and all other Mod members are arrested/Banned prior, the game will continue with HADAA being the last remaining Mod member. Do not attempt to participate with more than one username. This is grounds for permanent banning from any and all future games. No petitioning the GM for information about the roles of other players or attempting to influence the tasks of the moderator (asking for certain hints, etc). You may not quote, screenshot, or otherwise duplicate or showcase messages from the GM to prove your role, actions, or results to a fellow player. You may, of course, claim to be a role in the course of the game whether it is your genuine role or not. You may freely PM other players and speak without restriction in the main channel (apart from the GM rule mentioned above) while you are still alive. Please refrain from discussing any facet of an ongoing game with a living player after you have died to avoid influencing the course of the game. You may generate false quotes, edits, and messages from other players in text form, but may not do so with concern to correspondence with the GM. Taking screen shots of PMs from other players is prohibited--keep the game in the realm of text. — This section has been removed because the GM hates it and doesn’t want to deal with it. If you need a general overview of how things go, please see the Order of Actions section in one of the last few games, or the FoKor Mafia Topic. — For this-round-specific questions (if there are any), feel free to ask. If Tasai or Kid has a disguise of an FBI subordinate, regardless of if they use the disguise during the game, it will be counted in the subordinate list and Akonyl will receive a small hint akin to, "You believe something is strange with (#) of your subordinate(s)..."
Note: Raiden/Jecka/Kamite/Vylash/KleeneOnigiri being Jd- will not count toward this notification, because they would not be in disguise. Jd- will be included in the number of FBI agents in the game if he's one of those roles, but there won't be anything strange about him. Akonyl can also receive Jd-'s results in this case. With concern to Raiden, Akonyl will receive only one of his investigations. In the case of Vylash, Akonyl will receive only one of her actions (Betrayal, Investigate, or Special Investigate), chosen at random. Akonyl can NOT receive bowtie results. Akonyl can NOT find out if KleeneOnigiri frightened someone. Friends know one another's identities. May not befriend any Moderators members and may not befriend a Detective Boy. Detective Boys are aware of one another's identities. Detective Boys have a hierarchy: Xpon, Stopwatch, Blurfbreg. Roles with status: decided by C-Square during Prep Phase. Lovers know one another's actual identities (disguises and actual roles). Cannot befriend Cinnamoroll, and children cannot be lovers. When one lover dies, the other commits suicide that same phase. No amount of healing or protecting may prevent the Banned of a suicidal lover. A Members/Members pair wins along with the Members. A Moderators/Moderators pair wins with the Moderators. A Members/Moderators pair does not win with either the Members or the Moderators. To win as such a tandem, all other players must be dead/arrested/otherwise unable to stop them from Banning. Lovers may still win while one or both are arrested (assuming Members/Members or Mod/Mod). Lovers can protect each other with the ability Lovey-Dovey.This ability may only be used once per Night/Day cycle and has a cooldown after it successfully saves a lover. See actions for more info. Player gets to know how many Moderators members are present in the current game (not their identities). Jd- is included in this count. Last edited by FM GameMaster on January 24th, 2019, 3:15 am, edited 4 times in total. Injured members of the Moderators will lose all abilities (including snipe). Injured members may still kill each night, as well as utilize items such as the Black Suitcase, b ow-tie, and tranquilizer watch. Note: Jd- can use the Black Suitcase during Night 1 for himself. During Day 1, it may be given to any member of the Moderators. Note: Jd- will not be a "Mod" role. Jd- can be any "town" role except children, Cinnamonroll, C-Square, Kid, KangarooGirl, and Shadowman. Jd- will be able to use all the statuses and abilities of his role as if he were a town player. Since Jd- is not really a disguiser, Tasai/KID may not disguise as his role. Cinnamonroll will not befriend Jd-. When ID'd by DBs, Jd- can be positively ID'd as b oth his "town" role and as "Jd-." Additionally, Jd- can be investigated as disguised as his town role and it will come up TRUE, however it does not count as a crime when Cross-Examined/House Searched/Arrested and Pinch will not affect Jd-. Note: Kor’s gender observe is random every night, but if more than one observe him/her in the same night, they will receive the same results. Note: Tasai will be given a random disguise from a role not in the game on Night 1 (Tasai/Kid may receive the same one). Tasai can't arrest someone for a framed action in any way. If Tasai gets injured, she'll keep the attributes (disguise investigate, interrogate, observe, items) of the disguise she was wearing when she was injured, but can't use any of its powers. Items: Knife, car keys, (ban) Hammer, Alcohol, Passport, Cooking Supplies. Note: HADAA may not arrest someone for a blamed action for any reason. HADAA will be given 5 disguises during prep phase from which to choose 3. He may don a disguise during prep phase to be used N1. He may also choose not to don a disguise, in which case his next chance to do so is D1. If applicable, police officers may use all actions in a single night (such as Investigate, Arrest, and House Search). Note: If Yuriko-Chan successfully protects (and saves someone), she will become temporarily injured for the following two phases. Note: If Dumitru successfully protects (and saves someone), he will become temporarily injured for the following two phases. Note:Night 1, Cheesus may choose to use either item for himself. During the day phases, Cheesus can choose to give himself one item or to hand out two items to one or two other players. Cheesus may not use both items for himself. He may not keep one item for himself and hand out the other to someone else. If he chooses to keep one item for himself, the other item will not be in play at all the following night. Note: Nomemory's gender observe is random every night, but if more than one observe her, they will receive the same results. Note: KID will be given a random disguise from a role not in the game on Night 1 (Tasai/Kid may receive the same one). If Kid gets injured, he'll keep the attributes (disguise investigate, interrogate, observe, items) of the disguise he was wearing when he was injured, but can't use any of its powers or steal. Items: car keys, Kangaroos, glasses, teeth drilling tools + the items of her current disguise. Note: KangarooGirl will get a list of 5 costumes in prep from which to choose 3. She can don one of those in prep to use N1. She can also choose not to do so, in which case her next chance to disguise will be D1. Items: Every single item in the game. Note: Shadow may choose to use one of the following each night: Betrayal, Crime Report, Cross-Examine, Detect, Discombobulate, Fake, Frighten, Heal, Interrogate, Investigate 3, Lawsuit, Observe, Protect, Snipe Guard, Steal/Return Item, Special Investigate 1, Stake-Out, Research. If Shadow chooses to use Lawsuit, he may only use it once per game. If he is Discombobulated on the night he uses it, or it fails for any other reason, this use will not be used up. If Shadow successfully protects (and saves someone), he will become injured for the following two phases. Shadow's gender and age observe is random every night, but if more than one observe him/her in the same night, they will receive the same results. Shadow can be positively identified as any and all roles. Note: Akobo is less of a role on its own and more a status combined with another role. This status will be given alongside a randomly picked town role to the chosen player, meaning that a player can be Monsi and also Akobo. They can be any town role (except Cinnamonroll, her BFF, C-Square and any one of the Detective Boys), but, for the sake of simplicity, they cannot be a lover. Akobo will only be in if there are 15+ players. Akobo is given two other role in the game at the start of Night 1 that they must find and kill. The roles can be either Mod or Member. If they are successful in banning the roles, either by banning at night or successfully lynching them during the day, Akobo will be considered to have won and will be removed from the game. At this point it will be announced that Akobo has banned their target and Akobo’s role and status as Akobo will be revealed. The game will then continue until either Moderators, Member or Lovers win. If Akobo’s target is banned by the Moderators or lynched without Akobo’s involvement, then Akobo will be given a new target one time. If Akobo fails again, Akobo will be banned and removed from the game, even if Akobo is currently in jail when this happens. If this happens, it will not be revealed that they are Akobo until the end of the game. If Akobo’s target is arrested, Akobo will not be given a new target or told their target has been arrested. The Akobo will be able to use Bribe once per game. They will need to inform the GM that they want to use Bribe on that night, otherwise the GM will assume they are not using it. Last edited by FM GameMaster on December 16th, 2018, 7:39 am, edited 5 times in total. The player chooses six players. The number of pairs of lovers in the game is up to the GM. C-Square may not choose herself. Best Friends and children may not be lovers. Cinnamonroll's ability takes precedence over C-Square's ability, meaning Friendship always takes precedence over Lovers. During prep phase, the player will be given five possible roles they could disguise as. The player then chooses three of those to use in the course of the game. Once HADAA/KangarooGirl have their selected disguises, they can disguise that same phase, meaning they would be disguised Night 1. Choosing costumes is not a crime. Disguising, however, is. Once the player's last costume is used, they will be given a new list of disguises to choose from starting the following day (meaning they can be disguised again the next night). For example, if KangarooGirl is on her last disguise Night 3, Day 3 she will be given a new list and can disguise again immediately on Night 4. Prep action, crime, remains so long as it is not removed due to an ability. The GM will choose a role not in the game and give that disguise to the player on Night 1. So, this isn't really a prep phase ability anymore, but it doesn't make much sense as a status. The player will still be able to use their disguise abilities on Night 1, this is just because having Tasai /Raifuujin choose disguises amounted to nothing more than getting a random one anyway. The player is able to use all of the abilities that the role they're disguised as could use. Scent won't be taken. So Raifuujin disguised as Raiden, for example, won't have a scent. Tasai will always have a scent, whatever disguise she gets. They can't disguise as: Moderators members, shinichi’sapprentice, Miyano_Shiho, xpon, Blurfbreg, Stopwatch, Cinnamonroll, Shadow, C-Square, Raifuujin, KangarooGirl or Jd-'s role. It is possible that KID and Tasai obtain the same disguise, as their disguises aren’t counted as roles "in the game" when getting the disguise. The player will have items from his original role and from their disguised role. So they can have two knifes in case Raifuujin or Tasai disguises as a police officer. If Tasai or Raifuujin is injured, they will not lose their disguise. Cinnamonroll names a list of players she would like to befriend (GM determines the exact amount of players to list). Cinnamonroll will then randomly befriend one of those players. Cinnamonroll and her friend will know one another's identities. Detective Boys, Shadow and Moderators members (including Tasai and Jd-) cannot be befriended. Lovers may also not be befriended (but this shouldn’t be the case anyway, since Friendship takes precedence over Amor). Cinnamonroll may use the abilities of her friends, with some exceptions. If Cinnamonroll befriends a police officer, she will not be able to detain, arrest, or house search, or pinch. Cinnamonroll may not steal, even if friends with KID. If Cinnamonroll befriends a role with a "one-off" ability such as Lawsuit or Voice of Reason, either Cinnamonroll or her friend may use the ability, but it can only be used once during the game. Cinnamonroll can have passive abilities. If she befriends Raiden however, she will not have vengeance. If she befriends Vylash, she'll get the same betrayal results Vylash does each night. If she befriends Akonyl, she'll get the same FBI results Akonyl does each night. If one of them is discombobulated or frightened, the other can still get the benefits of the passive ability. Cinnamonroll status is separate from her friend. If Cinnamonroll's friend is injured, Cinnamonroll will not be injured. Even if Cinnamonroll’s friend is arrested/detained, Cinnamonroll can still use that friend's abilities. Cinnamonroll will not lose her ability if her friend dies. If Cinnamonroll befriends KangarooGirl, she will be able to use the abilities of KangarooGirl's disguised roles. If Cinnamonroll befriends KangarooGirl she will not receive a true in Choosing Costumes on Prep Phase, due to it being her friend's doing. If Cinnamonroll befriends KangarooGirl and KangarooGirl dies, Cinnamonroll will be able to choose costumes and use the abilities of the disguises, but she still will not have arrest of any kind. Disguise investigate will still be false in this case. Roles with this action: Wakarimashita, Abs. Abs./Wakarimashita will Abduct one character that is not played in the game by any player. The GM will send him the name of one random town-sided character not in the game. Abs./Wakarimashita may abduct Tasai /KID's disguises because they are not considered "in the game." They may not abduct Jd-’s role, as it is considered to be in the game. Abduct cannot choose the same role twice. Vylash will be told one action that the Moderators took that night. The result will be randomized based on the actions the Moderators takes. Vylash doesn't need to PM the GM to use this action, but it can be discombobulated. Killing/Sniping: DOESN'T get to know which Mod killed or if Snipe was used. Special Investigate: "A Mod investigated." Detect: "A Mod used detect." Steal: "A Mod stole from someone." Observe: "A Mod observed someone." Stake-out: "A Mod observed someone." Abduct: "A Mod used Abduct"
Disguised abilities: DOESN'T get to know what HADAA or Tasai did with their disguise. Doesn't know what disguises they have either. Jd-: DOESN'T get to know Jd-'s actions in any way, even if they're crimes. Once per game, the Hacker may also "Bribe" the GM to kill a player. The Moderators member doing the kill must hand in the bribe action. The Moderators leader can also order it on behalf of that person. The Moderators and/or Hacker's kill that night cannot be hindered by any means whatsoever, including an arrest on the killing player. If a player attempts to heal/protect the victim, their action will fail as if discombobulated. If a player attempts to discombobulate the killer, the trickster will be notified that the trick failed. However, none of the killer's actions will go through except for the kill. Should the killer be arrested, the arrest will be successful, but only after the kill happens. The kill itself cannot be stopped. If the killer’s target is arrested, the arrest will be counted as a success (and the cop will not be suspended), but the target will still die. Bribe may also be used on an arrested player. This can include crimes committed by the town. Does not get told who the crime was used on or which role someone disguised as. Does need to send this action to get results. No longer a passive action. The player can choose to cross-examine one player, to find out whether they have committed any crimes so far (includes prep phase). The player will not learn which crimes have been committed. The player will get the result "guilty" or "not guilty". Faked actions don't count as crimes. Framed crimes do count as crimes. In this case, both the person framing someone and the person being framed will show up as having crimes after the phase in which the framing happens. Crimes committed during the same phase don't count. Cross-examine will not leave a notice. Can detect if a specific role is in the game per night. They need to ask for the character name (shinichi’sapprentice, Iwamoto Yuri, xpon...) and not the role type (Detective, Police...). Tasai and Raifuujin’s disguises will not count as being in the game. Neither with KangarooGirl or HADAA’s disguises, unless those disguises are a role otherwise present. If Jd- is in the game, both the Detect for "Jd-" and the Detect for his "role" will be True. Tasai disguised as Yuriko-Chan. Jd-’s role is dumitru. Also commonly known as "Trick"
Players that are discombobulated will fail with their night action on the same night. Affects all Night actions and Day/Night actions that were performed at night. Only exceptions are Arrest and Bribe; you can never discombobulate an arrest or bribe. You can discombobulate House Search, Detain, and Face Pinch. Discombobulation doesn't affect Day actions. Protection via Cheesus’s watch cannot be discombobulated. All other night actions can be discombobulated. Discombobulation can prevent the Moderators from killing or sniping someone, unless bribe is in effect. If a discombobulated action is investigated, then the action will be shown as "false", because the action didn't go through. The people discombobulated will get a PM from the GM that their night action failed. They will only get a notice in case they used a night action. If they have a night action and didn't use it or have a day action or no active action, they won't know that they were discombobulated via PM. Players that used a Night action and weren't discombobulated will get a PM saying that their action succeeded. The one who used Discombobulate will get a PM: "You used discombobulate on your target", but he won't know if that target actually used an action that night. In case the Discombobulator was discombobulated, he'll get the message: "Your action failed". He will also get that message if he discombobulated the killer if Bribe is in effect or his target is arrested. May NOT discombobulate themselves, because it will discombobulate the GM. If the trickster is also the person the killer is targeting that night, their action will fail UNLESS they are tricking the person killing them. If two tricksters trick each other in the same phase, both tricksters will have all of their actions fail. (Same for if three tricksters trick each other, ex: nomemory tricks Wakarimashita, Wakarimashita tricks KaitoRizu, KaitoRizu tricks nomemory.) In this case, none of their trick actions will count as crimes (and will come up false on investigation), because they will not have happened. However, if two tricksters trick each other and a third trickster tricks one of the first two, the first two will fail their actions and the third will get a success. (ex: nomemory and Wakarimashita trick each other. KaitoRizu tricks Kogorou. nomemory and Wakarimashita get “your actions failed” and KaitoRizu gets “success.”) In this case, only KaitoRizu’s trick will count as a crime (and can be investigated as true). Wakarimashita and nomemory’s actions will not count as having happened. If the trickster tricks a killer using bribe (ex: KaitoRizu tricks Conia, who bribe-kills Camel), the failed trick will not show up on a stake-out of the killer. nomemory discombobulates Wakarimashita. Wakarimashita discombobulates AmuroOnigiri. nomemory discombobulate Wakarimashita. Wakarimashita discombobulates KaitoRizu. KaitoRizu discombobulates AmuroOnigiri. Roles with this action: Spimer, Abs. The eraser has the option of erasing or not erasing a body if he is the one doing the killing himself. The action is not limited to a one-time-use and may be repeated so long as the eraser is the one doing the killing. Once per kill cycle, Spimer/Abs. may opt to erase a victim killed by another Moderators member. He can't, however, erase for another Moderators member if there are only 2 of them left. The identity and will of the erased player will not be shown. The eraser is the only one who becomes privy to the identity and will of the erased body. Erase, like all other individual Moderators actions, may not be ordered by the Moderators leader. Erase will fail if the target doesn't die. If both Mod and Hacker kill the same target in the same night and the Mod tries to erase the target, but the Mod kills fails, the target will still be erased (assuming the Eraser's actions go through). In this case, both the Eraser and the Hacker will get the role of the player and their will. Can choose to frame a player for committing a crime of his choosing on that night. Investigating the framed action will come back as true, and the player can be arrested for this action as well. If a player who is framed for a crime is cross-examined in a later phase, they will be found guilty, even if they have no other crimes. Jd-, Tasai and HADAA cannot arrest people for framed actions. Members who are lovers with Moderators cannot arrest people for framed actions. The Frightened player can't use his ability or vote the next day. Protect used on that day can be frightened. Raiden's vengeance can be frightened (since his vote won't go through if he's frightened). Similarly, Revenge (Cider/KnightusMaximus) can also be frightened if Abs./Wakarimashita wishes. Detain and Pinch Face can be frightened. Only one Moderators member can use frighten per night. - If your target is not about to be killed, Kogorou learns of all actions performed to a player that night. So, "James guards Amuro" may result in a PM of "Amuro was healed and discombobulated", for example. Only keywords will be used (see Keywords section in Quick Reference). If someone were to use Special Investigate on the staked out player, the result will only show "Investigate" and not "Special Investigate". - If Pisco. uses the black suitcase to "interrogate" Amuro, the PM will simply state that Amuro was interrogated, not that she was interrogated with the Black Suitcase. - Your own stakeout isn't included in the results list. So if the list says "Megure was observed," that wasn't your stakeout--he was observed by someone else. Can use Heal on any player, including himself. The healed player won't die if targeted by the killer. Can't heal APTX or cure an injured player. If the target was sniped, heal won't save the victim. The healer won't die. If successfully healed, the healer will know that he successfully healed. The target and the attacker will be notified that the target was healed/protected, but not by whom. No one will learn the attacker's identity in any way. Failed House Searches that lead to a suspension cannot be investigated and will not show up on Stake-Out. Can order a house search each Night. This will reveal all crimes the target made. The player won't know any other actions done or the identity of the target, even if he/she committed a crime. If the target did not commit a crime, then the player will be suspended for 2 phases and can't use any actions during that time (besides the bow-tie/watch). There will be also a notification, that a police officer was suspended (like arrest), but no identities will be revealed. After the suspension is over, the police officer can use all abilities he had before, besides house search. He won't be able to use House search for the rest of the game. If the target has not committed a crime yet, but commits a crime in the same phase as the House Search order is given, the House Search will still be considered a failure, and the officer will suffer the consequences. The crime will NOT be hindered and Auto-arrest won't happen. For the full list of crimes, see “Crimes” under General Definitions. Being in the Moderators isn't a crime. So you can't arrest Gin for being Conia. The player can choose to Interrogate one player. He'll get the result "Mod" or "Not Mod". Check the roles to see what result they would get under normal circumstances. "Mod" will be "Not Mod"
"Not Mod" will be "Mod"
Can be discombobulated. Then the Player won't get any results but a "failed action" as a PM. The player can Investigate a certain number of actions. (For example, C-Square has “Investigate 2,” therefore she may use two investigations.) He can only Investigate the actions that are happening in the same night he's Investigating. He may not Investigate actions from previous nights, or Day actions. He may investigate if someone is disguised, but he must name the specific disguise. He may investigate killings and attacks. If the killing was interrupted by protection, healing, or snipeguard then the investigation will still be true and considered an attack. If the killing was discombobulated/tricked, then it did not happen and will be considered false. If the player was killed, the action wasn't done and it will come out as "False"
Even if a protection or heal wasn't necessary, as long as the player did the order and wasn't discombobulated or killed, it will come out as "True"
Black Suitcase and Fake actions appear as if they were legitimate actions. Disguise: Gin (Tasai ) is disguised as Yuriko-Chan. James (Raifuujin) is disguised as Memesu. Actions: Gin kills Kir. Ayumi investigates Gin. James kills Bourbon. Yurikochan protects Bourbon. Bourbon interrogates Gin. James kills Bourbon. Yurikochan protects Bourbon. Gin discombobulates James. Actions considered the same: Amuro (Henry Gordan) heals James, James (KaitoLady) uses Heal on Megure; Gin (Raiden) uses SnipeGuard on Yurikochan (dumitru), while Yuriko protects Gin with Protect. James (Jd-) uses Black Suitcase and fake interrogates Ayumi (Miyano_Shiho). One Moderators member per night may choose another player to kill. If the Hacker is present, they may also choose another player to kill. The Moderators member/Hacker doing the kill is discombobulated. If the Bribe action is used alongside the kill, the kill will go through no matter what, and the targeted player will die. If both Mod and Hacker kill the same target in the same night and both kills go through, then they will happen at the same time (which means both the Hacker the Mod killer can be investigated/arrested for it). If the Mod killer and the Hacker target each other in the same night, assuming that their kill has not been stopped (via Discombobulate, Heal, etc), both kills will go through and both the Hacker and the Mod killer will die. Usable once per game per role. Can bring back anyone who has been arrested with a lawsuit. There will be a message that the imprisoned player is out of prison. The identity of the one who was in prison won't get revealed to anyone. If the user is tricked while using Lawsuit, the Lawsuit will fail and not be used up - meaning it can be used again. Once the imprisoned player is released, the crime for which they were arrested for is for all intents and purposes erased as if it never happened. Therefore if the released player was released after being imprisoned via House Search, they effectively will no longer have crimes to be arrested for and will Cross-Examine as no crimes until they commit another crime. There are 2 types of Observe: Age-Observe and Gender-Observe. A player cannot use both types of observe in the same night. They must choose age OR gender. May choose a player to Age-Observe during the night. When the night is over the player will learn if that player is a child, teenager or adult. May choose a player to Gender-Observe during the night. When the night is over the player will learn if that player is male or female. If the target is disguised, then the player will learn it for the disguise, not the true identity. If Nomemory is gender observed, the result will be random each night, if more than one player gender observe Nomemory, all players will receive the same results. Research can show which ability was successfully used during that phase. Research can research specific abilities such as Protect and SnipeGuard, as well as Interrogate and Cross Examine. This is only limited to investigatable actions, however. So you can't Research Research. Research will come back true if a town member used the ability or if it was Faked through the BS. If it blamed or used by a Mod member, it will be false. Example: Player wants to research Discombobulate. If KaitoRizu/Yoko/KID/KangarooGirl used the Discombobulate ability, Research would come out as true. If Wakarimashita/Tasai /HADAA/Jd- used the Discombobulate ability it would come out as false. If no one used the ability, it will come out as false. Role with this action: Spimer, Abs. Can be discombobulated, cannot be frightened. Spimer/Abs. will choose during the night which player he would like to Sabotage. If, during the following day, that player is tied with another player for most amount of votes, the player who was sabotaged will have their vote count increased by 1. If the player who was sabotaged survives the lynch for any reason (be it that the lynch did not tie, or they were saved by another means), they will be informed that they were followed. If the lynch vote does not tie prior to Sabotage/Accompany being applied, Sabotage will fail. Accompany can cancel out a Sabotage. Spimer/Abs. does not need to vote for the person he Sabotages. Megure (Spimer) Sabotages Yuriko (Henry Gordan) during N1. At this point, Megure's Sabotage would be applied, bringing Yuriko's votes up to 4, and Yuriko would be lynched. Megure (Spimer) Sabotages Yuriko (Henry Gordan) during N1. Bourbon (MangaLuv) Accompanies Yuriko D1. Player may slander any player at night, whether it's himself, someone from the town, or someone from the Moderators. The holder of the Black Suitcase may slander one target: one Moderators or one town. If Conia is in the game, the Mod as a collective may not slander two Moderators members. If more than one Moderators member sends a slander for a Mod member, Conia's slander will take precedent. If the slandered target is interrogated that night, the interrogation result will be inverted. A townie that would normally come up as "Not Moderators" on an interrogation would instead become "Moderators" if slandered successfully. Likewise, if a slandered Moderators member is interrogated, any interrogations on them that night would return "Not Moderators" instead of the usual "Moderators". The slanderer does not receive a notice indicating whether his slandered target was interrogated that night or not. The slandered player does not receive a notification that they were slandered that night. Snipe replaces kill for the specified roles. The Mod Leader can therefore order Sniping if the killer is one of the roles with Snipe. Snipers will always Snipe when they are able too. Snipe will bypass healing (Heal) and kill the target, but not the healer. If the target is protected, the protector will die in place of the target. If the target is protected by the watch, the target will survive, but the watch will shatter and become unusable. The identity of the attacker doesn't get revealed for any reason. If the sniper gets discombobulated, nothing will happen. The target or the protectors won't die and the watch won't get destroyed. The player can use the ability on one target. This target will be protected completely in case he/she is about to be sniped. The sniper will fail his killing and will get injured as a result. If the target was killed in another way than sniping, then the target will die and Raiden won't injure anyone. If Raiden targets a sniper that is about to snipe someone, nothing will happen to the sniper and the victim will die. If the sniper was injured, there will not be a message that someone was injured. The sniper can't use snipe anymore, but can still kill normally. They no longer have revenge. Same as Investigate # but can just Investigate one action. The investigated action should have happened in the past. Cannot Special Investigate things that are happening the night of the Special Investigate. Must be from a previous night or prep phase. May NOT Special Investigate anything that happens during a day phase. Things that can be investigated from prep phase: Disguise (must specify disguise), Choose Costume (no specific costume needed), Friendship (needs to specify friend). The user learns of all actions performed to a player that night. So, "James stakes out Amuro" may result in a PM of "Amuro was healed and discombobulated", for example. Only keywords will be used (see Keywords section in Quick Reference). Ex: If someone were to use Special Investigate on the staked out player, the result will only show "Investigate" and not "Special Investigate". If Tequila uses the black suitcase to fake "interrogate" Amuro, the PM will simply state that Amuro was interrogated, not that she was interrogated with the Black Suitcase or that it was a fake action. You will not be told how often a particular action was used on the target. So if multiple people investigate Tequila, investigate will only show up once. You will not learn who used the action, just what actions were used on the target. Your own stakeout isn't included in the results list. So if the list says "Ayumi was observed," that wasn't your stakeout--he was observed by someone else. If the target is killed the night you stake them out, you learn from the GM the gender of the killer. This does not circumvent disguises, however (so Tasai /HADAA will come back with the gender of their disguises and not necessarily their actual ones). If a trickster tricks a killer using bribe (ex: KaitoRizu tricks Conia, who bribe-kills Camel), the failed trick will not show up on stake-out of Conia. Bourbon and Sera interrogate Amuro, Gin investigates "Amuro protects James" and Kir uses Heal on Amuro with the Black Suitcase. Stake-out result will be: "Amuro was interrogated, investigated and healed" although it was a fake action by the BS. Steal: Night action, Crime. Can be investigated/arrested/caught on stake-out the night that it happens, even if the item is later returned. Return Item: Night action, not a crime. Cannot be investigated/does not show up on stake-out. CAN be discombobulated. Can steal one item from one person per night. Can steal from that person again on the next night. Items stolen will NOT be added to the thief's inventory. If the player steals from a disguised player, he can steal from the disguise or from the original role (Raifuujin, Tasai ). The player won't know it it's from the disguise or not. If the disguised player has 2x knife for example, he can steal a knife 2x. The player who was stolen from will NOT get a notification on the item that he lost, unless it isn't returned the following night phase. If a player gets stolen from by 2 or more different thieves, all thieves will take different items, but they will be notified that they saw another thief stealing from the same person. Raifuujin will get the School Book and a notification that someone else tried to take it, too. Conia will be told that there was nothing left to steal and that another thief got there first. If the School Book isn't returned by Raifuujin the following night: Memesu will be told that he was targeted by more than one thief and his School Book was stolen. If the School Book IS returned by Raifuujin the following night: Memesu will never notice that his book was missing in the first place. The target will have his/her lynching votes reduced by 1 for that day. There will be just a public notice that 1 vote was reduced, in case that person was about to be lynched. Otherwise no one will know that a vote was reduced by 1. Lynch votes will be shown as normal. May accompany anyone during the day and the accompanied will learn that someone accompanied/followed them. Can't accompany herself. The whole Mod get capsules with APTX4869 each game - a total of 3 APTX at the start of the game. If the Mod tries APTX on Raifuujin disguised as Memesu, the Mod must guess that player is Raifuujin and not Memesu. Successful APTX: The target was that role (success).The Mod will keep the APTX. The actions and the votes of the victim don't count and the target dies. Arrest can't be stopped though. Failed APTX: The APTX will be used up and the Mod will lose it. The victim won't know that he was targeted. The Mod will get a message that the APTX failed and how many APTX are left. Different Mod members can try to poison different targets (or the same target) the same day. Each Mod can only start one poison attempt each day. If there are more poisoning attempts than remaining APTX the higher-ranked Mod members poisoning attempts takes priority. Conia can poison Megure as Memesu. But Conia can't poison Megure as Memesu AND Kir as Yuriko-Chan in the same phase. Conia and Tasai cannot both poison Megure as Memesu in the same phase. Conia can poison Megure as Memesu and Tasai can poison Kir as Yuriko-Chan in the same phase, provided they have more than one capsule remaining. If the Mod member who used APTX was lynched, the APTX is still effective and the target will still die. APTX can't hinder an arrest. Even if the arresting officer is successfully APTXed by another Mod member who is not also being arrested, the arrest still happens. The arresting officer will die after the arrest takes place. Arresting the Mod member who does the poisoning WILL hinder the poisoning. In this case, the APTX is NOT lost. This is the same with Detain and Pinching. APTX > lynching: In case the target player is lynched and APTXed, then the APTX will be first, then the lynching. So if the APTX failed, the APTX will be used up and the target dies after that. Handing off the BS is not investigatable. Day action, can be frightened. During each day the Leader (also, next highest-ranked Mod in case Leader dies or is arrested) can decide to give the "Black Suitcase" to any player (even himself). He can also choose a substitute in case that player is killed/arrested. If the Leader himself is killed/arrested, the action will still go through. The player can use his real ability (for example Observe) and a fake ability (for example Investigate or Heal etc.) in the same night. If the player is discombobulated, the Black Suitcase action will fail as well as any other Night actions (Bribe is an exception). Meaning the investigation of that fake action will come out as "False". The player will be notified, that he was discombobulated, even if he doesn't have a real night ability. Jd- (Amuro) can give the Suitcase to himself during Day 1. During Night 2, he can (for example) interrogate another player (James). Anyone Investigating "Amuro interrogates James" will receive a "True" result. However, Jd- (Amuro) will not gain a result on his fake Interrogation. Bow-tie: Can lend it to anyone for a night (and it is returned at the end of the night) or use it for himself. Someone in possession of the bow-tie can act if he were shinichi’sapprentice and can choose to Investigate 5 OR Interrogate. If he chooses to give himself the Bow-tie, he cannot give out the Watch. Watch: Can also lend the watch to anyone for one night (and it is returned at the end of the night) or use it for himself. Someone in possession of the Watch is protected from the Mod as if he were protected by Yuriko-Chan or dumitru, but he needs to fire from the distance so he does not get to see the attacker's face and will therefore not learn his identity. If he chooses to give himself the Watch, he cannot give out the Bow-Tie. Neither the recipient of Watch or Bow-Tie nor Cheesus learn each other's identity (so Kir as Cheesus will give the Watch to "Gin", and Gin (Yuriko-Chan) will receive it from "Cheesus"). He may lend both to the same person. While he has to decide whom he'll give it to during the day, he may include (ordered) alternatives in case the one he chose gets lynched/etc. If Yuriko-Chan or dumitru gets the watch, they Protect themselves. So when they are targeted, they will be protected by the watch. If they protect someone successfully while holding the Watch themselves, they will still be penalized. If the protected one was sniped while Yuriko-Chan or dumitru had the watch, the watch won't be destroyed, but one of the protectors will still die. If healer/protector gets the Watch, they can also only use the watch to defend themselves; it will not be used on their heal/protect target. The recipient of the Watch may be investigated as protecting themselves. “Protect” will also show up on a stake-out if the holder of the watch is staked-out. Can give out the Health Charm. The same phase the target will be protected from APTX poisoning. The Charm will only be used up, if the person with the charm would have been poisoned otherwise. Mod will not be specially notified that the charm was in play and therefore lose that aptx. MangaLuv won't know the identity of the one who received the Charm. The one who got the Charm will just know that MangaLuv gave it to him/her, not the identity of the player. She may accompany anyone during the day and the accompanied will learn that someone accompanied/followed them. As a result she will get either: "Has a scent" or "Has no scent"
Disguises will not cause a change in scent. Tasai and HADAA will always have a scent; Raifuujin and KangarooGirl will never have a scent. Jd- may or may not have a scent depending on which role they are. Can use Follow-Up during each day phase to check who used actions that happened to someone they staked out on a previous night. Example: Monsi stakes out Gin N1 and finds out he was slandered. During the following day, he may use Follow-Up to check "Gin slandered Gin N1" and get a true or false result. You do not have to check only actions from the previous night. For example, if, on Day 2, you want to check something you found on a Night 1 stake-out, you can. They can only use Identify once per day and must decide together who to use it on. Abs./Wakarimashita can frighten a Detective Boy Identify if he frightens the one handing in the action, if several DB handed in actions, depending on the amount of DB in game, the chance will be 50-66% of failure. Normal lynching (no sniper or Raiden powers) is different. If xpon is lynched but the others aren't interfered with, the next-highest Detective Boy who handed in an action can still get his results. Basically, it's to the Detective Boys' advantage for everyone to hand in an action. If the person is disguised, they can't Identify the disguise but have to Identify if the player is Raifuujin or Tasai . 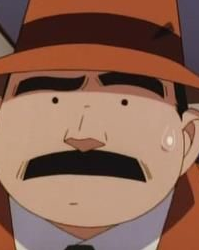 The ranking of the Detective Boys are: xpon, Stopwatch, Blurfbreg. If the GM gets conflicting orders on whom to Identify, the GM will use this ranking. The Day after HADAA/KangarooGirl used his/her last disguise, he/she can re-use Choose Costumes. Can be given to any player. That player will fall asleep during the following night and can't perform any actions (except Arrest and Bribe-killing) for that phase at all. Does not affect any actions performed during the day phase it was handed out. Passive actions will still work. The player will be notified that they have fallen asleep at the end of the day phase. Due to it being a crime, it may be arrested for. Police must send an arrest for the day that it was handed out, not the night that it was in effect for. Police may use the action "Sleeping Pill" or "Drugged". During the day (and during prep phase), HADAA/KangarooGirl may choose who to disguise as for the following night, out of their chosen 3 costumes, using this ability. Once a costume has been used, they may not re-use it again unless they choose it again with Re-choose Costumes. Can stop the lynching once per game. Doing so will not expose her role. The lynching must be stopped before the results are known, and if successful no one will be killed by lynching during that day. The lynching votes will not be shown. Can't be frightened or discombobulated, or otherwise hindered in any way. Failed Arrests that lead to suspension cannot be investigated/will not show up on Stake-Out. Can arrest any player at Night or Day, except for themselves. Needs to accuse a player for a specific crime during a specific past phase: "Arrest James for Killing Gin on Night 1" or "Arrest Gin for Slandering Megure on Night 2" or "Arrest Sebolains for disguising as pofa on Night 3." MAY NOT arrest someone for helping with a crime: "James helped Gin in killing Megure"
Crimes are: see under General Definitions. Being in the Mod isn't a crime. For the third time, you can't arrest Gin for being Conia. Stop trying. Arresting can't be hindered in any way. Not by discombobulating, frightening or killing the police officer. If the Mod bribe-kills a target that should be successfully arrested in the same phase, the arrest will still go through, but the target will die. The cop will be notified that their arrest was successful, and they will not be suspended. The police officer can't use any action (arrest, investigate, house search, stake-out etc.) for the next 2 phases if he accuses someone falsely and won't get results on the current phase, because he'll get suspended. But he can use the bow-tie actions in case he gets the bow-tie. If there is a failed arrest attempt, then there will be info that an unidentified police officer was suspended for the next 2 phases. There won't be any info who was supposed to be arrested either. An arrested person's identity remains secret. Players can be arrested for blamed actions, even though the player didn't do it. The Mod can't arrest someone for a blamed action in any way. The action and/or vote of a successfully arrested player will not go through and will fail. You can't arrest someone for the same crime twice. If someone is let out by lawsuit, the crime for which they were arrested will be completely erased, as if it had never happened. Can be frightened or discombobulated. Can put any player in detention at Night or Day, except for themselves. Only one player at a time can be in detention, unless there are multiple people disguised as Miaka. The player will be released automatically after 3 phases or if Miaka dies. If Detain is used on Day 2, the player will be in jail for Night 3 and Day 3 but released before Night 4 starts. If all Mod players are either dead or arrested and the only remaining Mod is in detention, the game ends. If a Mod player is due to be released at the end of the phase where the only other Mod player remaining is arrested/killed, the game will continue with that one Mod player remaining. If Miaka is discombobulated while after she detained a player, she will not release said player. If Miaka is suspended after the phase she had detained, she will not release said player until the normal time. If Miaka detains a player with Vengeance or Revenge, she will not get injured. This protect will hinder lynching, killing, sniping and even APTX. Does not hinder Raiden's vengeance or Cider/KnightusMaximus's Revenge. Just one lover can use protect. They can't protect each other in the same phase. You can only protect once per Night/Day set. Example: If it’s used on Night 1, then it can’t be used again on Day 1, but is free to use again Night 2 or Day 2. Or, if they decide to protect during Day 1 instead of Night 1, they can use it again on Night 2 or Day 2. Can be discombobulated/frightened if the one using the action is targeted. Lovey-Dovey can still be used if one or both lovers are injured or suspended. bluekaitou1412 will learn that the player was in disguise and also which disguise it was. If the player was disguised as Raiden, bluekaitou1412 will auto-arrest the disguiser and be injured. If KangarooGirl or HADAA is pinched and arrested, they do not get a new role automatically if freed. They will receive a new list and will have to Re-choose costumes. Tasai /KID will automatically get a new disguise, however. The target will be notified that they were pinched whether they get arrested or not. Can be discombobulated or frightened. May choose to Protect one person at day. If the protected person is going to get lynched, the protector will jump in and stop the lynching. The lynching votes will not be shown. May also choose one individual to Protect at night. If said individual is about to be killed by the Mod, he again Protects the individual. The target in this case learns that he was Protected. Neither the Protected individual nor the Protector will learn the identity of the attacker. If sniped, the target survives, but the protector dies in their place. If discombobulated while protecting, the protection will fail and they don't Protect the person. May not protect themselves. MAY protect each other. Example: If Yuriko-Chan protects successfully N1 and becomes temporarily injured, she will be injured for D1 and N2, and will be able to protect again D2. When they become arrested, the officer(s) arresting them will become "Injured" (2 phases, same as a suspension). Any injury will be made public. If Raiden gets lynched, he'll kill the person he voted for too. If Frightened or Discombobulated, Vengeance will fail. If killed successfully, he will injure his attacker before he dies. If healed or if the kill gets prevented in any way, he won't injure the attacker. If Raiden is arrested, he will injure the arresting officer, like the snipers. If a player disguised as Raiden is pinched, the auto-arrest will occur as normal and so he will injure the person who pinched him and then go to jail. An injured Mod will lose all of his abilities, and abilities to kill (like sniping). However, they can still regularly kill at night, APTX and use items like black suitcase and bow-tie/watch. These are separated because they're kind of long and I didn't want to clog up the actions section too much. (SI) [Player] chose costumes in prep phase. (INV) [Player] disguised as [role]. (SI) [Player] disguised as [role] [phase]. (SI) [Player] befriended [Player] in prep phase. (SI) [Player] killed [Player] [phase]. (SI) [Player] interrogates [Player] [phase]. (SI) [Player] detected [role] [phase]. (SI) [Player] discombobulated [Player] [phase]. (SI) [Player] erased [Player] [phase]. Fake itself is not investigatable. For faked actions, see corresponding action. (SI) [Player] frightened [Player] [phase]. (SI) [Player] healed [Player] [phase]. (SI) [Player] arrested [Player] [phase]. A house search that leads to a suspension cannot be investigated. (SI) [Player] interrogated [Player] [phase]. (SI) [Player] investigated [Player] [phase]. (SI) [Player] observed [Player] [phase]. (SI) [Player] slandered [Player] [phase]. (SI) [Player] protected [Player] [phase]. (INV) [Player] steals from [Player]. (SI) [Player] stole from [Player] [phase]. Return Item is not investigatable. Handing off the Black Suitcase is not investigatable. For other Suitcase actions, see correspending night action. Handing out the Bow-Tie is not investigatable. For Bow-Tie actions used at night, see corresponding night action. Handing out the Watch is not investigatable. An arrest that leads to a suspension cannot be investigated. (SI) [Player] pinched [Player] [phase]. Notes: Only once instance of each keyword may show up on each stake-out, even if multiple of a keyword is used on the same target. The Stake-Out user's own action will not show up on the list. Gender of the killer (or killer's disguise's gender). Last edited by FM GameMaster on January 24th, 2019, 2:58 am, edited 3 times in total. Sending wether voting or abstaining is a must. Prep Phase has officially began. Remember only anon accounts are allowed here. If anyone has any issues let me know. 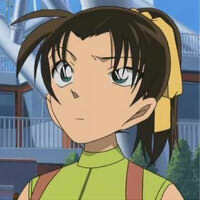 Geez where is Shinichi again! I don't remember actually signing up but oh well. Mou... Where's Heiji when you need him.